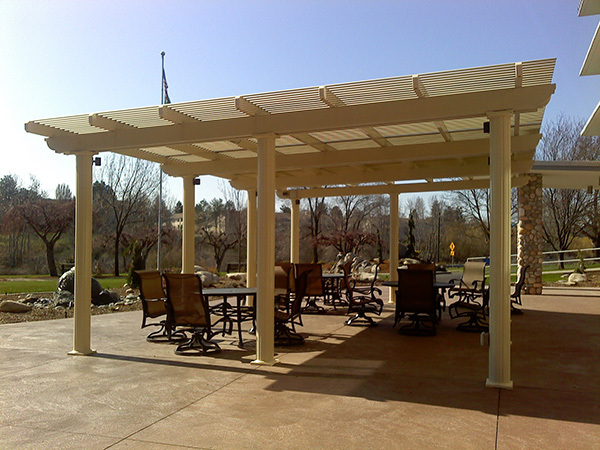 Alpine Patio and Home Products offers over 40 years experience in designing Outdoor Living areas. 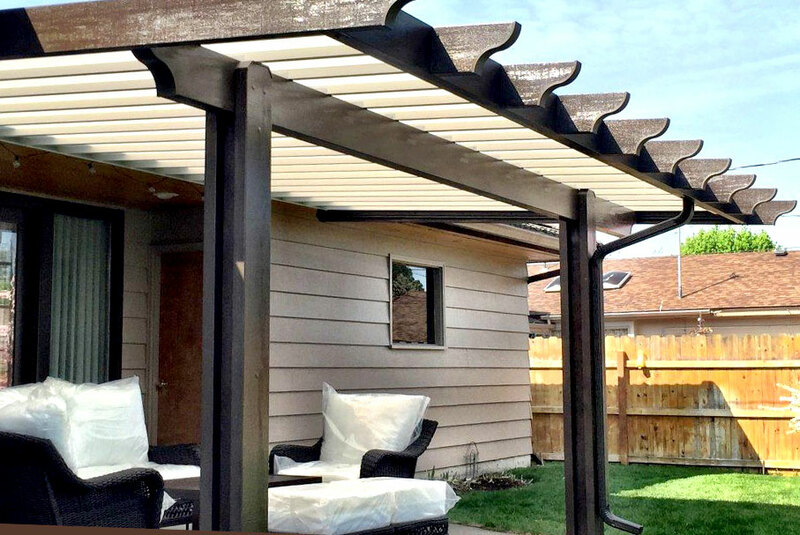 The professional Outdoor Living Experts at Alpine evaluate every potential project to determine the best solution for "Providing Comfortable Outdoor Living." 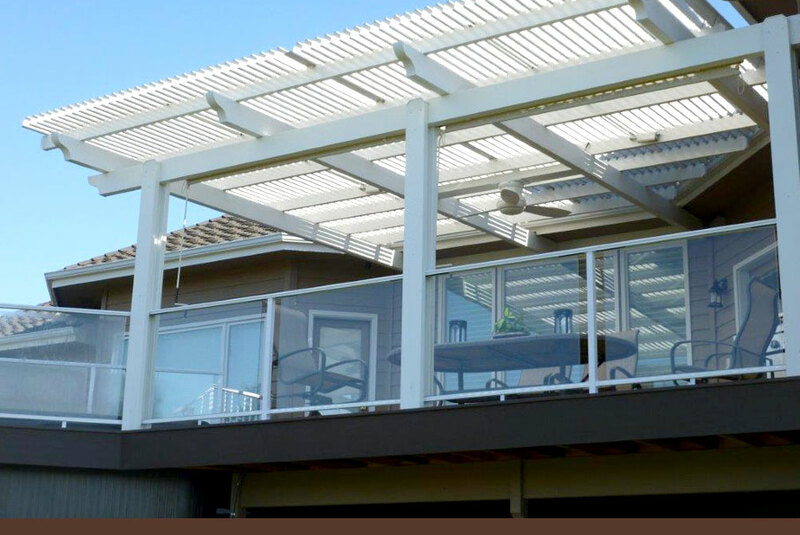 The selection of patio covers Alpine offers provide shade or full weather protection to extend the use of a deck or patio. 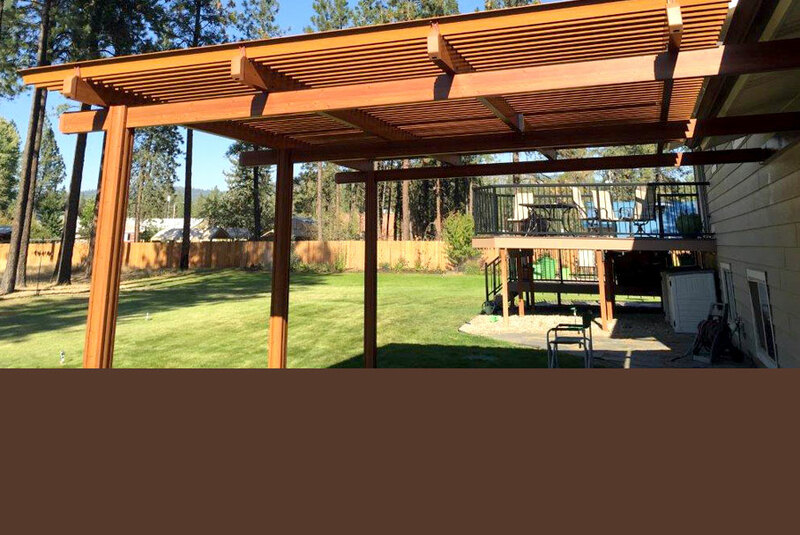 Some of the choices include Ultimate Insulated Roof, Pergola, Adjustable Louver Roof, Lexan Skylight Covers, and Traditional Aluminum Covers. 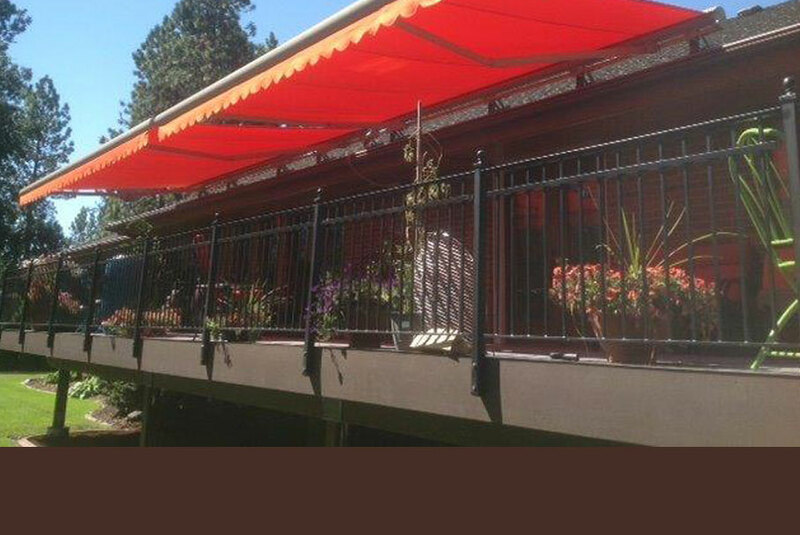 Alpine awnings allow homeowners to control the amount of sun protection w ith motorized Retractable Awnings and Window Coverings. The design flexibility Alpine has with our Sunroom and Screenroom product offerings give homeowners the ability to customize their new living space. 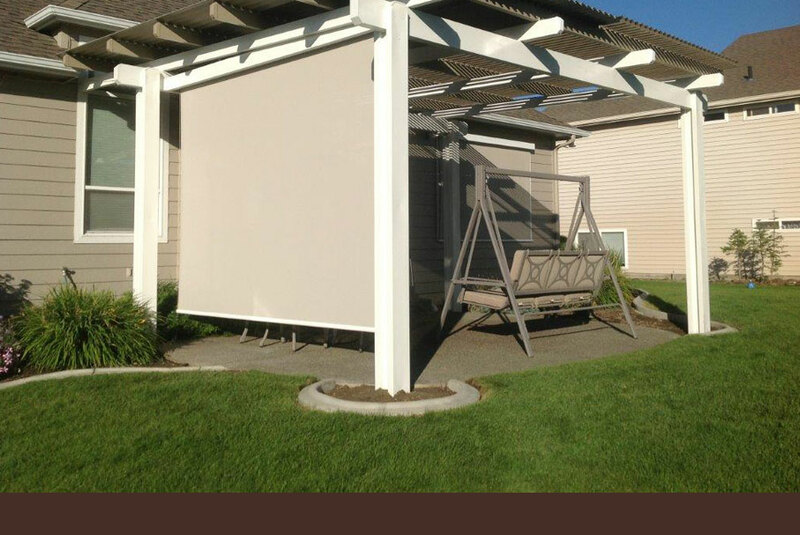 Vertical Solar Shades can be added to any of the Alpine patio cover choices to provide additional shade or privacy. Let the cool breeze filter through your home while keeping the insects out by adding an Alpine Retractable Door Screen to any style door. DekSmart railings are extremely versatile. 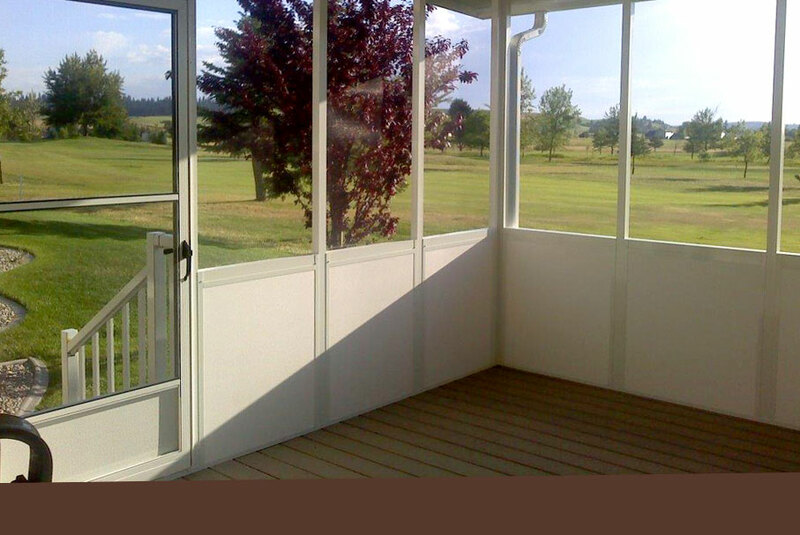 All parts are interchangeable between pickets and tempered glass with a wide variety of powder coated colors to choose from. Alpine aluminum rails provide strength and safety for traversing stairs and ramps. 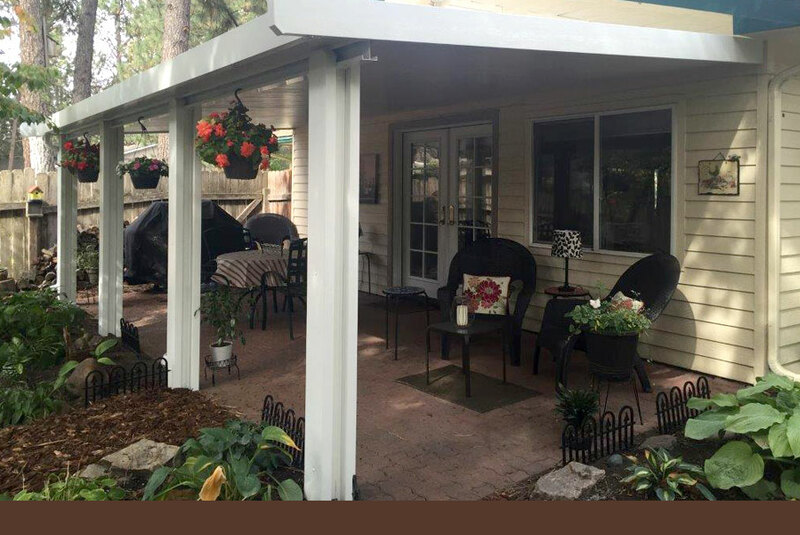 Call the Outdoor Living Experts at Alpine Patio and Home Products to schedule a FREE consultation at your home today. "Their service was very good. They did a nice a job. We are in a remote area. We often have trouble getting people to come and do anything for us, and they came and did the work."